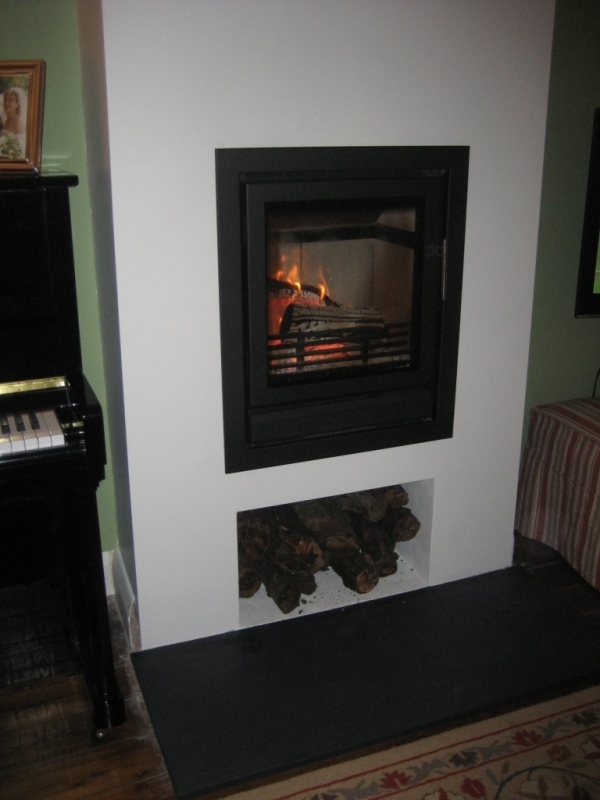 This Stovax Riva 55 Inset stove installation took place in a property in West Horsley, Surrey. 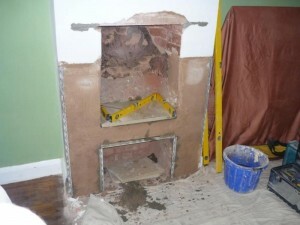 The client came recommended to us and knew exactly what they wanted to do. 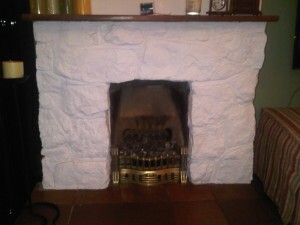 However they were nervous about the scale and price involved. 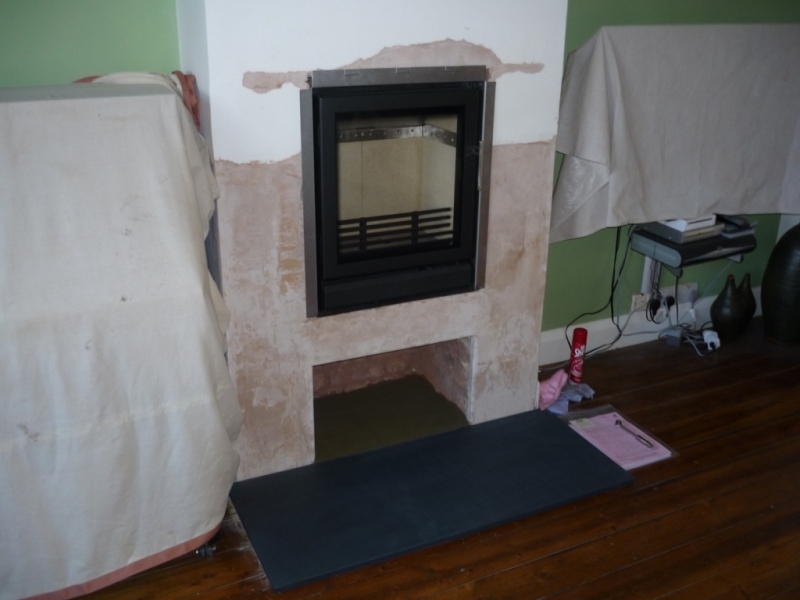 They had received quotes from other companies, but they quickly saw a difference with The Billington Partnership in the speed of our communication and the wide range of products offered. 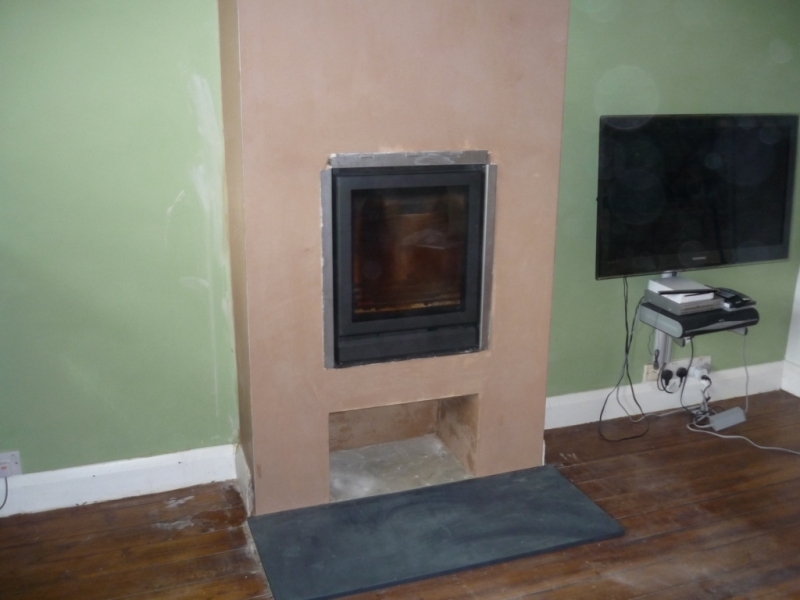 When the client finally decided on the Stovax Riva 55 inset stove, they found our total price to be much more favourable than their other quotes. 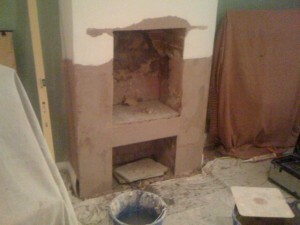 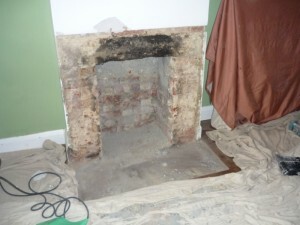 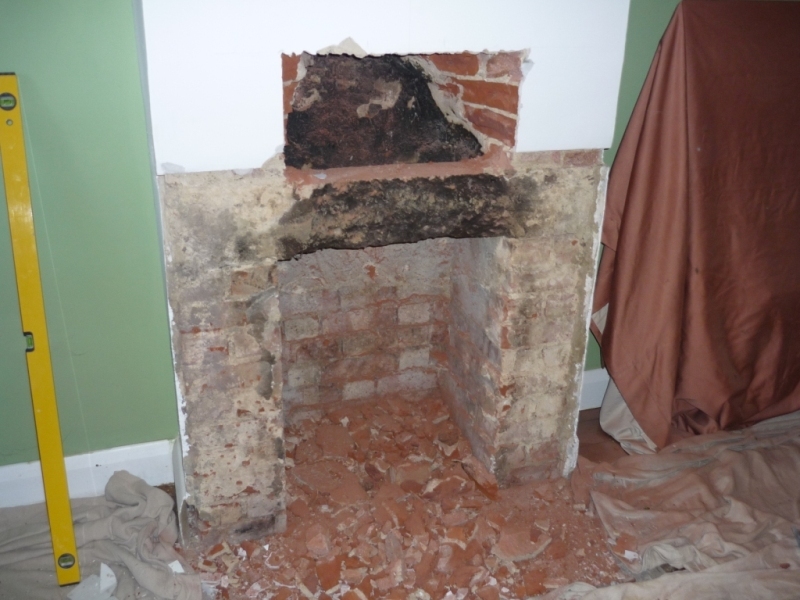 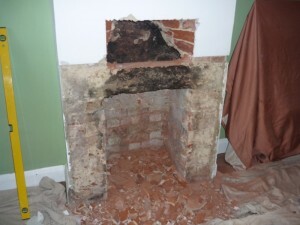 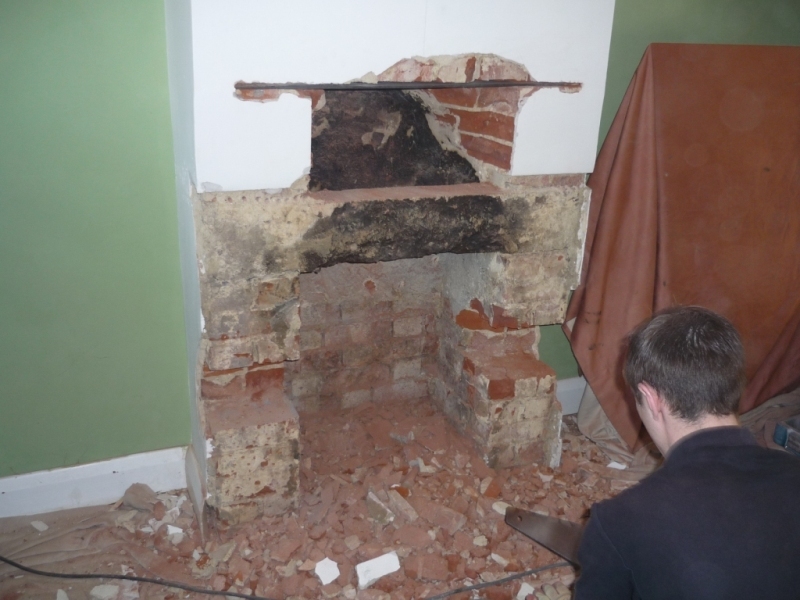 Firstly, we removed the existing fireplace. 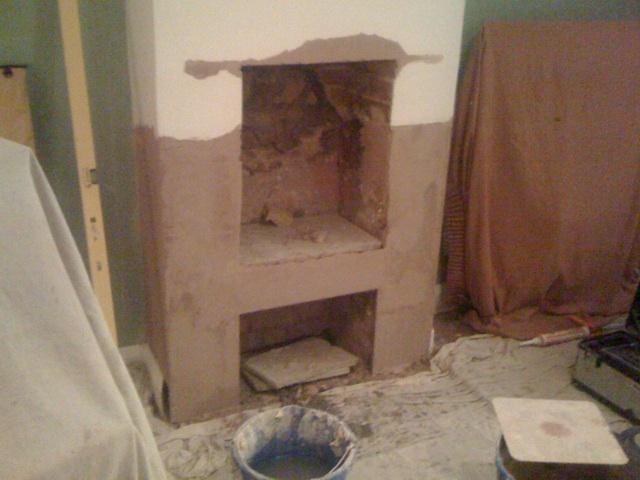 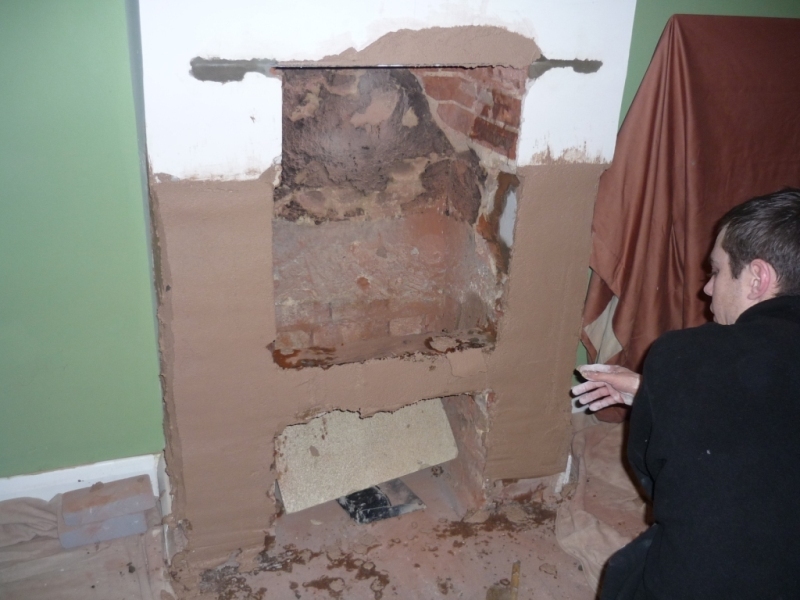 Once we had taken it out, we then had to create a hole further up the chimney breast to allow for the new wall fire. 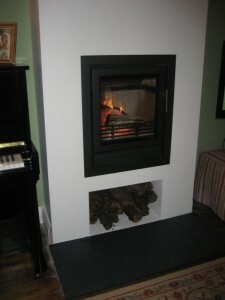 In addition we designed a log store underneath as briefed by the client. 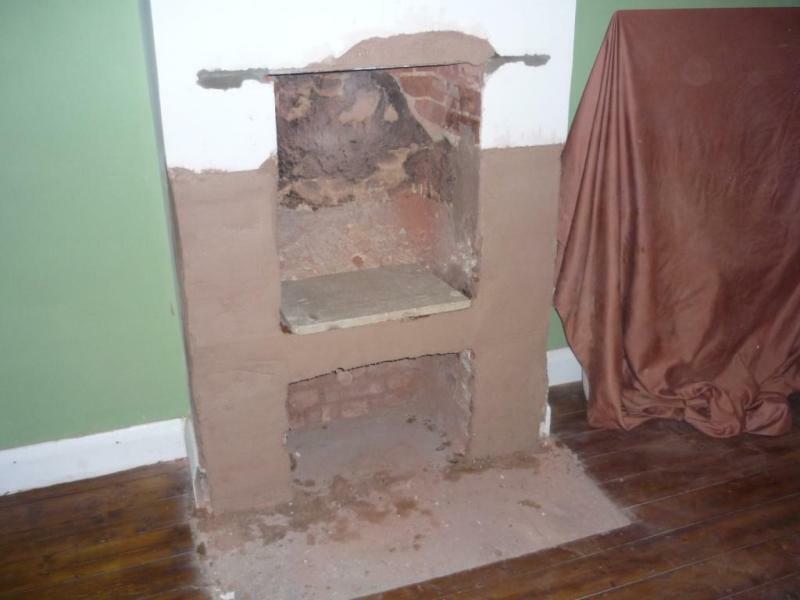 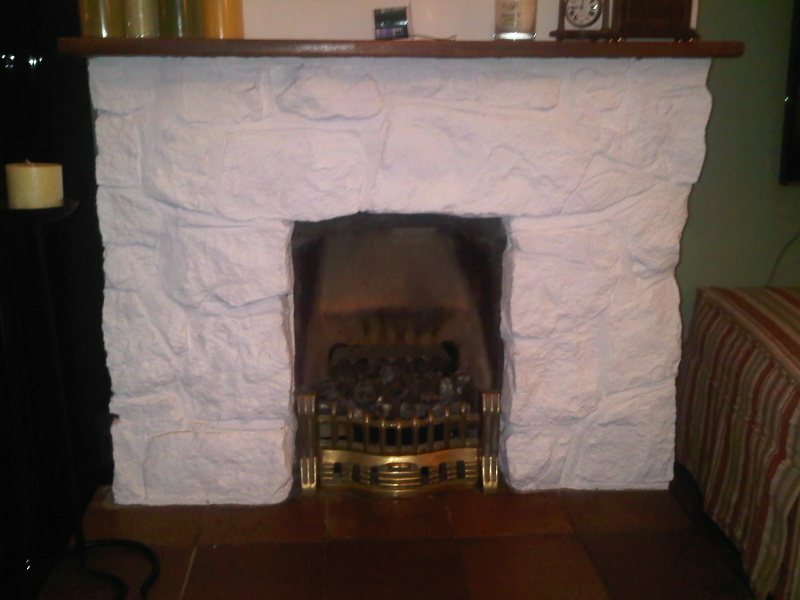 The fire was installed along with a flue liner and the entire chimney breast had to be replastered. 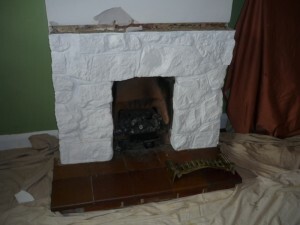 The end result was an amazing transformation from the original fireplace. 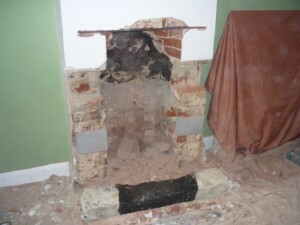 Please find below a sequence of photos which show the progress of this installation. Hopefully they demonstrate that anything is possible!